Log in to the vCenter web client. Locate the VM that you want to check. Select the most recent task that is named Set virtual machine custom value. The backup information is located under Related events at the bottom of the Tasks tab. 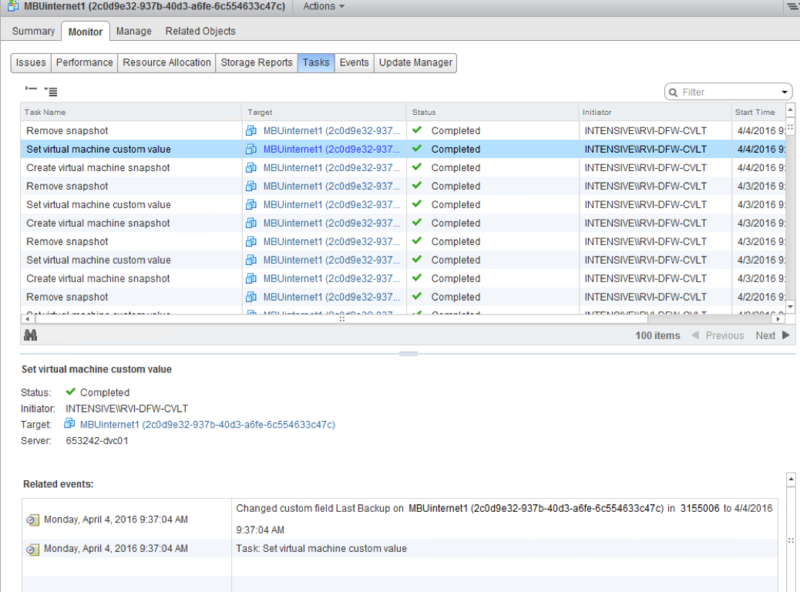 The backup entry reads Changed Custom Field Last Backup on <vm name> in <data center in vCenter> to <date/time>.